Android may rule the roost when it comes to smartphones in China, but Apple is still dominant when it comes to tablets, according to an Analysys International report, which pegs the US firm at 71 percent of sales in Q3 2012, far ahead of second placed Lenovo on 10 percent. The Google-owned operating system accounts for more than 90 percent of smartphones, streets ahead of iOS’s 4.2 percent. While the analyst firm doesn’t total the figures for operating systems, it is clear that Android’s grip on China’s tablet space — which saw industry-wide sales grow 62.5 percent on a year previous — is nothing like as strong. Samsung, so often the standard bearer for Android, holds just 3.5 percent, a whisker behind popular local brand Ereneben (3.6 percent) and fractionally ahead of Acer (3 percent). A long tail of local manufacturers and strugglers — including Google’s Motorola Mobility — make up the rest. What is interesting to note, from a data perspective, is that Analysys International — which is among the most reliable analyst houses in China — looks at devices that are 5-11 inches, which therefore includes so-called ‘Phablets’ like the Samsung Galaxy Note range. Though in between categories, the Note is primarily seen as a phone, particularly in Asia where it competes with the iPhone and Samsung’s own Galaxy S range for consumer attention. While the Analysys International report paints the latest findings as Apple “declining”, the fact that the company continues to hold such a strong lead is testament to the dominance of the iPad (and its brand) and it may also be a reflection of the type of consumers that buy tablets. Android has leveled the smartphone playing field by bringing more flexible and budget pricing to those that can’t afford the most expensive devices. While that revolution has kicked in, China’s tablet space appears to still be for the affluent, but it continues to grow impressively. 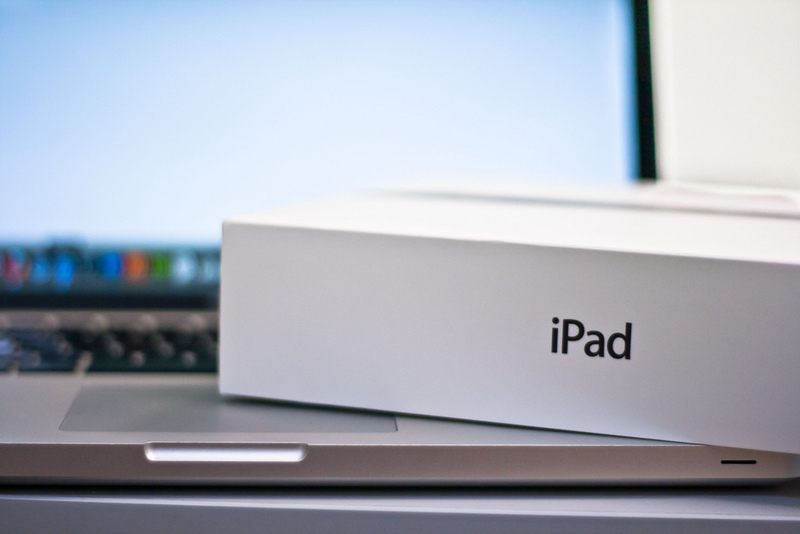 Analysys International reports that the sale of tablet PCs grew 65 percent year-on-year (11.3 percent quarter-on-quarter), with an estimated 2.6 million units bought by consumers during the three-month period. While not a direct comparison, IDC estimates that April-June saw 44 million smartphones shipped to China, and the country’s smartphone market is tipped to hit 500 million phones, twice the size of the US, next year. The analyst firm says it has already seen signs that Android’s marketing campaign is increasing. 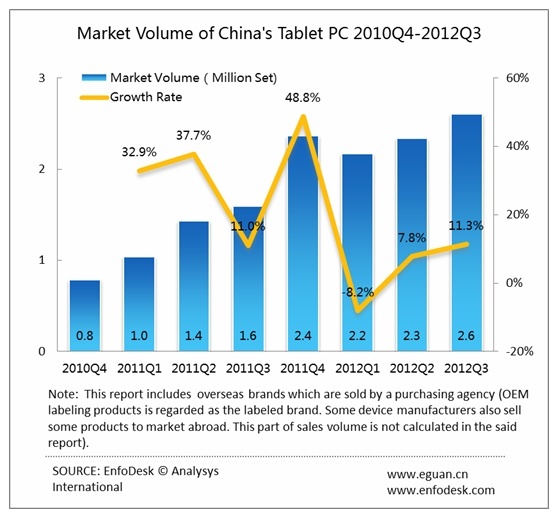 It foresees that this, along with Apple pushing into middle and low PC markets and Windows 8 emerging, will see sales of tablet devices in China continue to increase – though it provides no estimated figures. 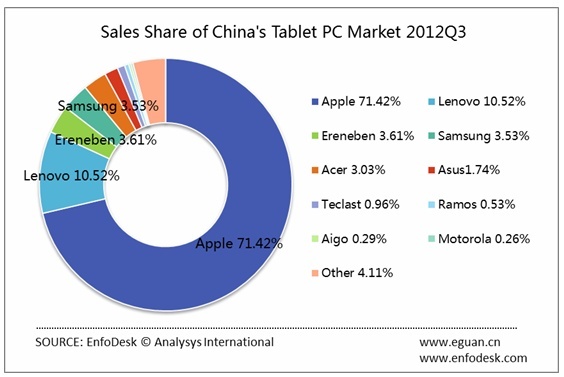 It will be interesting to see whether the effects of China’s ‘smartphone revolution’ will be felt in the tablet space. I’ve a feeling that, with tablets luxury items rather than a modern day necessity like a phone, the democratization of tablets is some way behind the smartphone.